Sometimes it's really tough finding the right tactics(actions) to assign to your acting beats. 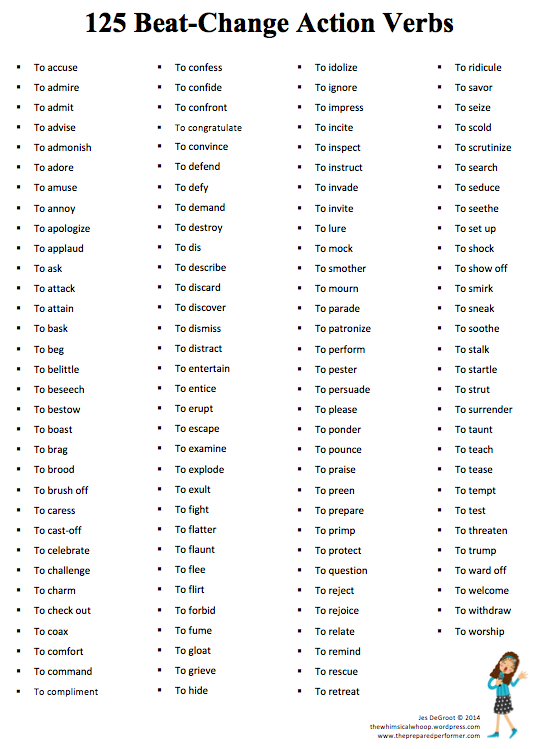 Jess DeGroot put together this awesome list of verbs to use when you do your beat work. When my students assign tactics to their acting beats, it really takes their work to a whole new level. Enjoy this helpful list!